Hello everyone and welcome to Share Your Style #140. I am Lisa from Feathering My Empty Nest, and I'm so happy to be your host this evening. It's mid-October (even though the weather hasn't felt like it here in the South) and October is all about Halloween. As I was looking over your many great posts from last week, I found a number of spooktacular ideas to help you celebrate the holiday with fun tricks and treats. 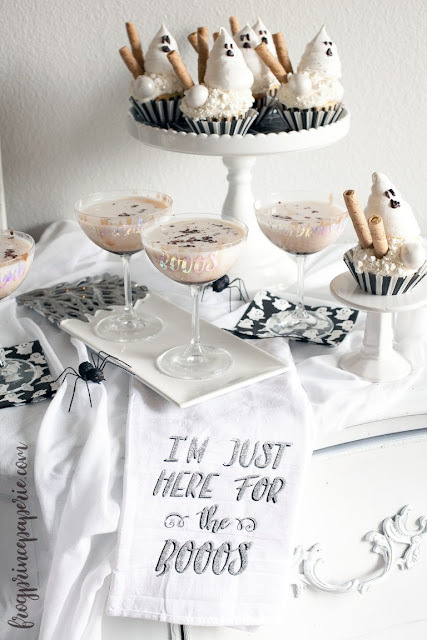 The striking black and white decor from the Frog Prince Paperie's "Halloween Boo Bash" caught my eye right away. The signage Paula created with her Cricut Easy Press looks so fantastic. I particularly love the "Here For The Booos" tea towel. And her ghost freak cupcakes are completely adorable! Ashley from Simply Designing charmed me with this whimsical wreath she made so inexpensively with items from the Target Dollar Spot. 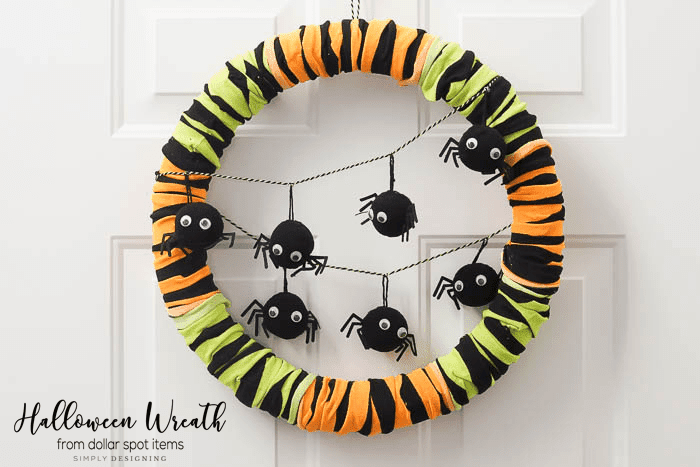 Someone who looks at funky green and orange striped socks and just knows that they would make a fabulous Halloween wreath, definitely deserves a shout out! 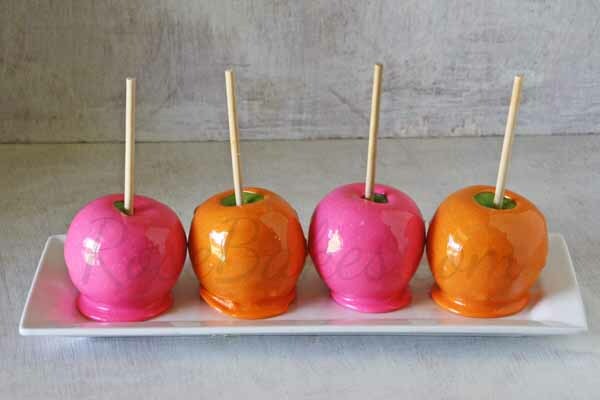 I am all about eye candy and these brightly colored candy apples from Rose Bakes And You Can Too! certainly, fit the bill. They are so festive and fun that they're sure to be the hit of any Halloween party. So, I'd intended to feature only Halloween posts this week but being a huge "Outlander" fan, I had to highlight this "Outlander Premiere Party from Ornate Splendor. Catherine packed this plaid-a-paloosa with so many terrific ideas, I can't begin to list them all. Suffice it to say, if you are an "Outlander" geek like me, you'll have a lot of fun identifying all her creative references to the book. Thank you for the Link Party, Barbara. Thank you for featuring my Halloween Wreath project this week! Thanks for hosting, Barbara and hope your week has been a good one. Thank you for hosting yet another great party. Thanks so much for featuring my candy apples!